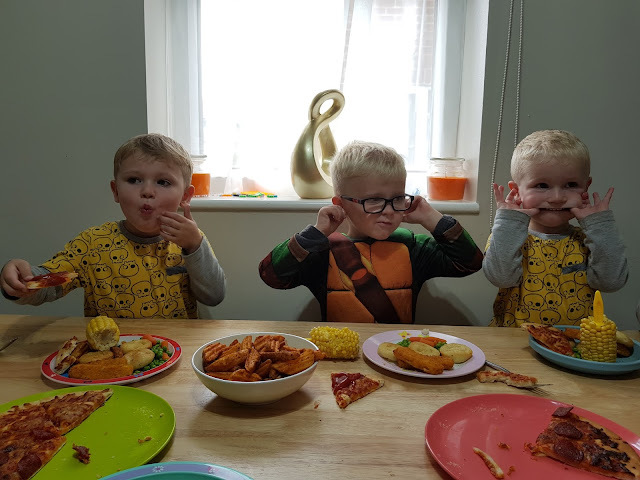 I am sure I am not the only one who looks at adverts in the media and thinks that they really don't represent my family or real life very well, especially when it comes to meal times. 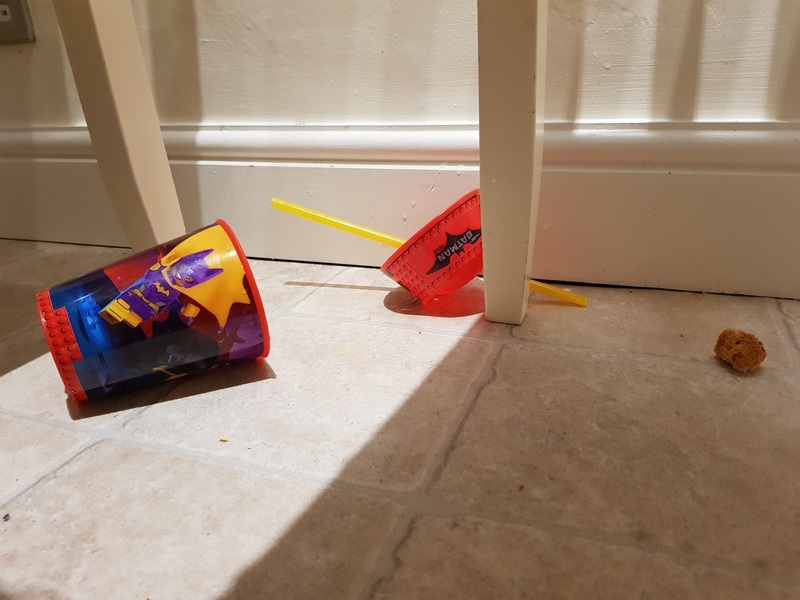 I am a proud father of a terrible two year old and a troublesome three year old. I can honestly say that none of the meals we have had together have even come close to representing what we see in the media today. 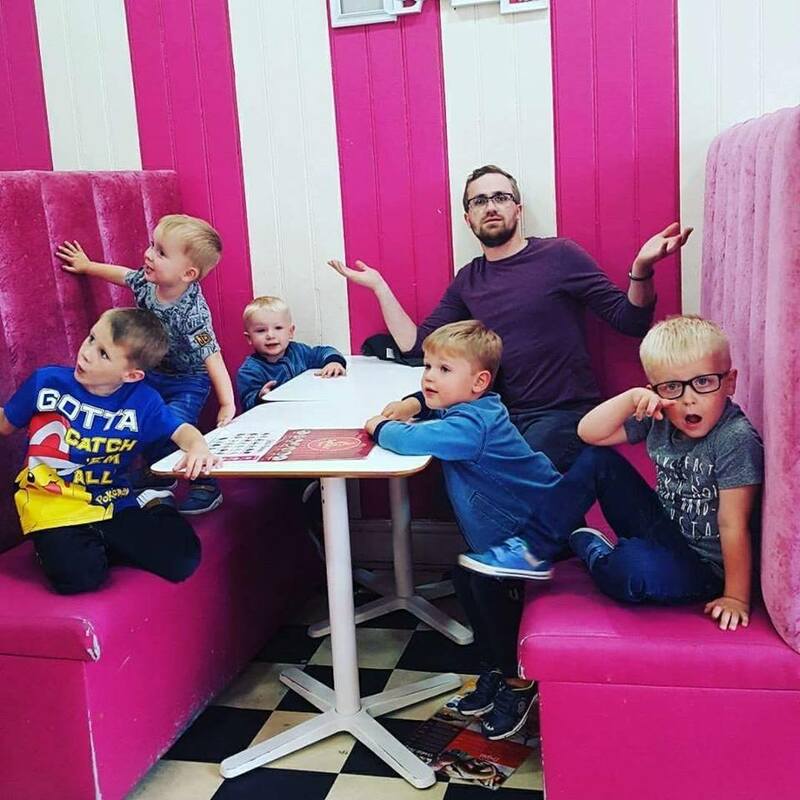 That’s why I’m in full support of McCain’s new campaign which is all about celebrating the reality of modern families in all their shapes and sizes – the magic and the madness! With our wedding just around the corner we had all spent the day running errands; collecting, delivering and sorting a whole manner of things from the printed seating plans and order of service through to the gift letter box and spray paint from Hobby Craft. Running errands all day meant that we got back home much later than we anticipated. 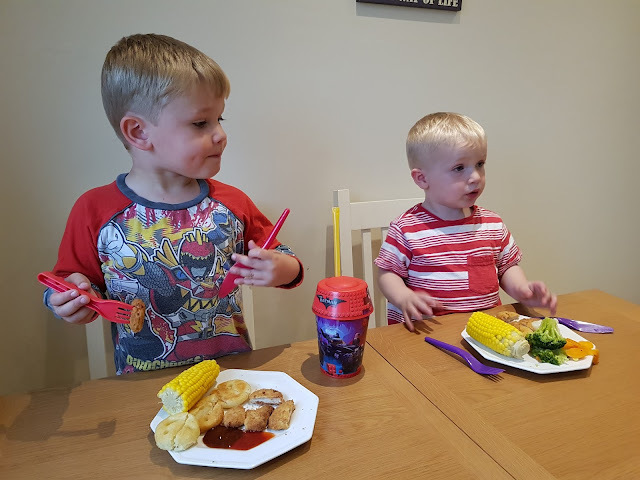 Which meant that we had to have a quick tea-meal as bedtime was only an hour away, so we raided the fridge and put in McCain Smiley Faces, Fish Fingers, frozen veg and corn on the cob. 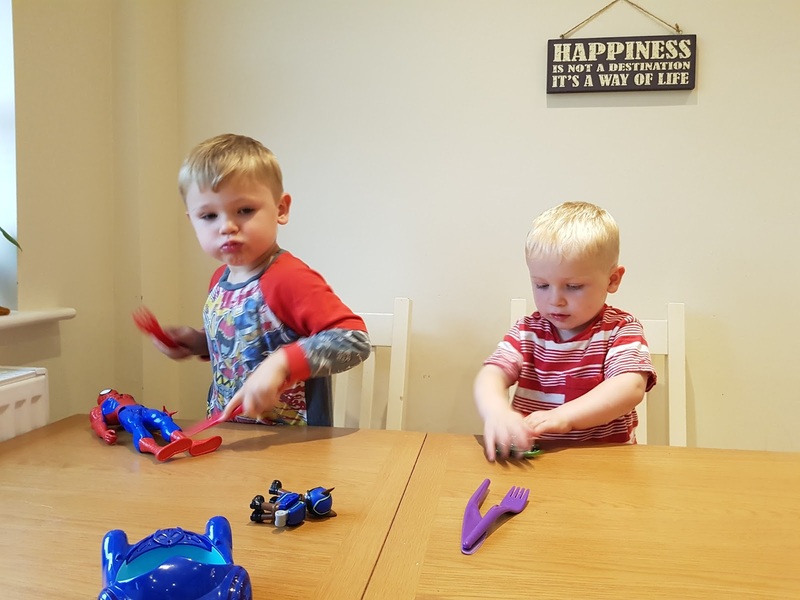 In their pyjamas, the boys enjoyed playing with their toys whilst they waited for their food to be cooked. I honestly don't mind them playing with toys at the table as it keeps them entertained, without toys at the table I am sure they would be more impatient than they currently are! 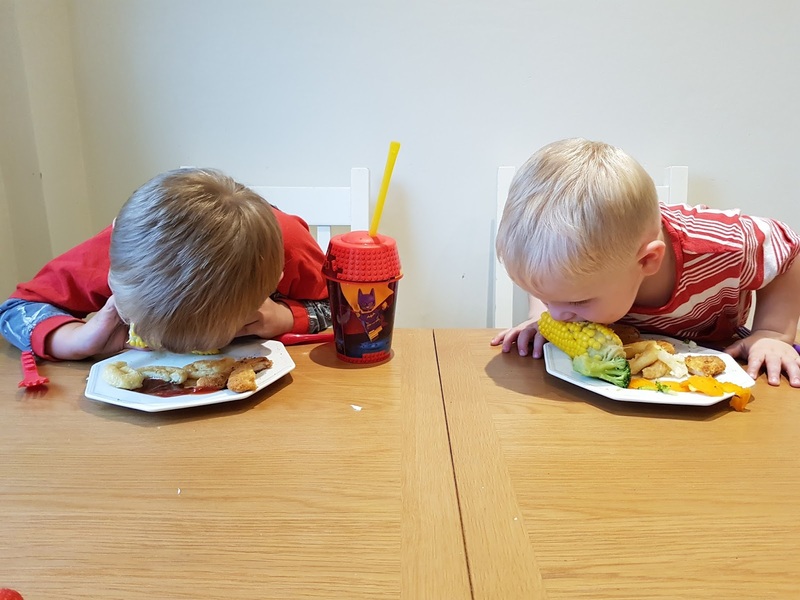 For me, meal times should all be about fun and laughter - This is perfectly summed in the next picture with the boys attempting to eat their sweet-corn like dogs. My view is that I don't care how they eat their tea, as long as they do it! 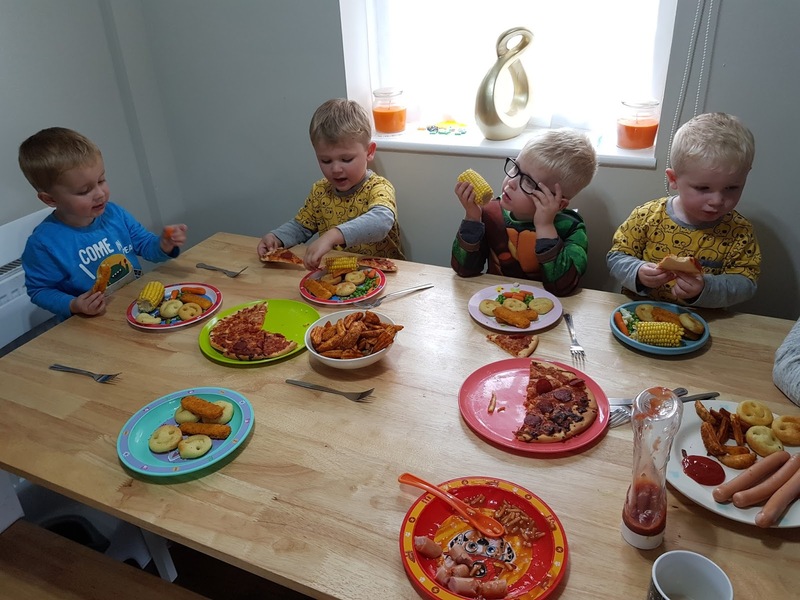 With fun and tea comes mess, it is almost inevitable that 20% of their meals are either on the table of on the floor and I am sure this is the same for most families with young children. Over the weekend my two sisters and their children, as well as my family headed over to my mum's house for a catch-up and some tea, as she had just got back from a short break in Malta. We decided to go for a buffet style meal as it was far easier and faster to prepare, cook and eat than most dishes. We didn't want to keep the tribe waiting for long as the continued to lay waste to my parents’ home. With five kids ranging from 8 months old to three years old we decided to serve a good mix of veg and freezer food: Corn on the cob, peas, carrots, McCain Smokey Paprika wedges, McCain Smiley Faces, pizza and fish fingers. 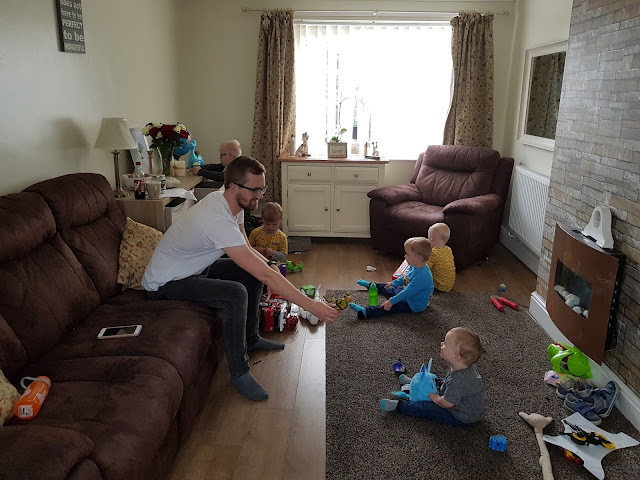 With so many children it was hard to keep the peace and order! Thanks for reading, I would love to hear about your meal times and how they differ from what you see in popular culture. This post was a sponsored by McCain, the views expressed are my own.